3 Bedroom Detached Bungalow For Sale in Burgh Castle for Offers in excess of £45,000. Home from Home Situated in the peaceful village of Burgh Castle is this fantastic 3 bedroom Pemberton, Park Lane Holiday Home. With its modern design and stylish finish, it offers a simply brilliant home from home. If you are tired of city life and looking for a get away, then this would be for you. It offers a cosy open plan living/dining/kitchen area, bathroom with BATH, 2 single rooms and 1 double with an en-suite shower room. 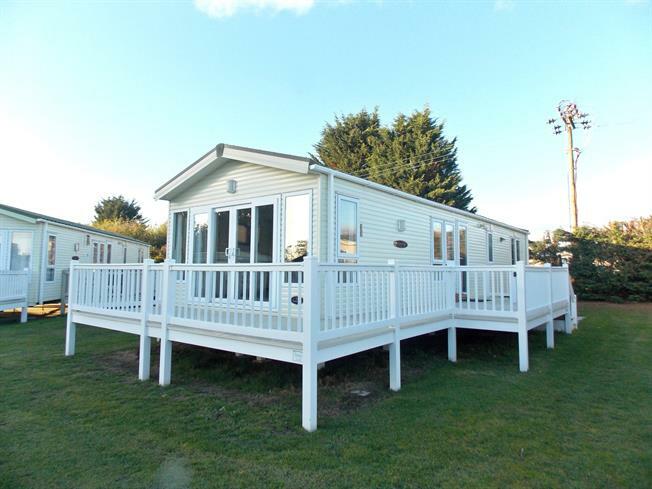 A Holiday Homes pitch is so important and this one is not to be missed. It offers security to the rear with hedges and trees which gives it a unique garden feel. Off road parking to the side and a stunning decking area which would be ideal for relaxing or entertaining in those summer months.